Adoption is a process through which a person assumes the parenting rights and obligations of a child from that child’s biological or legal parents. This process results in a permanent transfer of all rights and responsibility of the raising, upbringing and care of the adopted child. 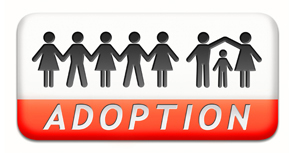 The steps involved in an adoption are complicated, as different types of adoptions have different steps and requirements. Furthermore, the struggle of the adoptive process involves more than issues of legality. Regardless of the underlying reason for an adoption, emotions and worries are experienced by all parties involved. The team at Horra Family Law understands this struggle and its corresponding emotions and worries. Accordingly, we have over a decade of experience with all the emotional, personal, and legal ups and downs of adoption and can provide you with the guidance you need to help make this legal transition as seamless as possible. If you would like to speak with one of our lawyers regarding the adoption process, please contact us at (416) 840-1475 or schedule your free initial consultation here.